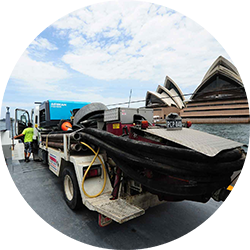 The company has more than a decade of specialist experience in moving concrete efficiently and delivering it from the street alignment to its final location on any job site – even using barges to pump from ship to shore. Perrin Concrete Pumping happily takes on jobs ranging from 1 cubic-metre placements to basement installations for multi-story developments. Perrin Concrete Pumping specialises in moving your concrete from where it has been delivered to where you need it. It’s a logistical task that’s worth doing right, otherwise you’re wasting time, effort and money. 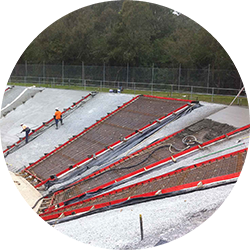 Need to put concrete in vertical, high incline or complex placements? You need shotcreting. Shotcreting provides versatile solutions to abnormal situations. 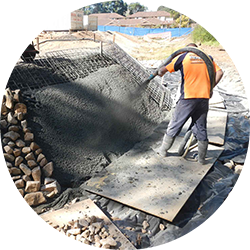 Shotcreting introduces compressed air as concrete leaves the nozzle, applying it at high pressure. The technique means placement and compaction occur simultaneously. Need more than just a concrete pumping solution? This is what Perrin Concrete Pumping calls its “full-service circle”. With 15 + years residential construction, excavation and concrete pumping experience, we can offer a complete concrete package that gets you out of the ground to finished product ensuring construction timelines and budgets stay on track.